SealBoss R70 Pump Flush and Cleaner does not have a hazard class for shipping and is not considered flammable. It offers many advantages over solvents on the jobsite for health and safety purposes. R70 Pump Flush and Cleaner is less aggressive towards rubber and plastic parts than solvents and is safer for the pumping equipment. R70 Pump Flush and Cleaner non-drying poperties work as a lubricant.The maintenance and cleaning of your equipment is of the utmost importance to provide for safe workplace conditions. Pumping epoxy resins and polyurethane injection foam grouts and resins, is like pumping a liquid glue – the product will eventually set up and clog the hoses and freeze the mechanical parts of your machine if you do not clean it out in time. To rebuild a clogged-up injection machine can be very costly - or even impossible. Important: Clean the machine thoroughly and frequently. 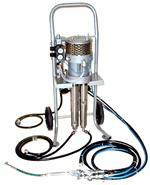 The materials used for concrete injection are strong adhesives. Polyurethanes are water-activated. Do not pump water with your grout injection pump. Epoxies often have a short gel-time. Do not leave materials in the pump. 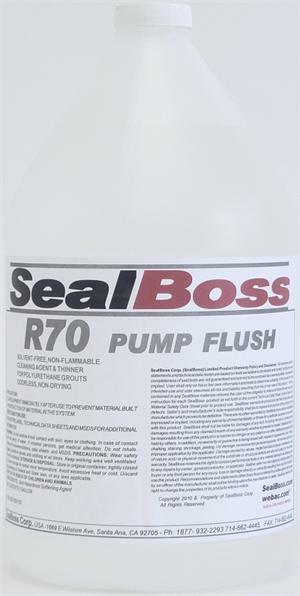 If in doubt of water residue in pump prior to use, flush first with a very small amount of SealBoss R70 Pump Flush and Cleaner or a solvent (not supplied by us) to eliminate moisture. Caution: Xylol, Toluol, Acetone, M.E.K. are hazardous, combustible, aggressive towards the environment, equipment, seals and hoses. 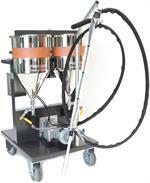 Omit solvent if in conflict with regulations on the jobsite or the equipment you use. Do not leave material in the pump for an extended time. Rule of thumb: If you don’t pump for more than twenty minutes purge the system and clean it. Take the cleaning process seriously and spend the necessary time. The larger the pump and its capacity including suction tubes and pressure line the more time is takes and the more cleaning agent you need to use.